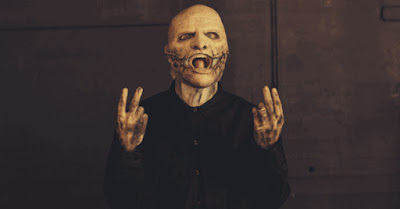 The first two weeks of Slipknot's North American tour with Marilyn Manson and Of Mice & Men have been posted after Corey Taylor was forced to undergo "an unplanned spinal surgery." Corey Taylor said in a statement: "Regretfully, I'm sending this to our fans to inform you that we will be postponing the first couple of weeks of our upcoming U.S tour. Unfortunately, I had to undergo an unplanned spinal surgery. I am recovering nicely, and all went well! I need a little recovery time before hitting the stage. We will start the summer tour in Nashville on June 28 and continue as previously scheduled. An update on the rescheduled dates will be available in the next few days. I hope you all understand and thanks for always having my back!"